Japan’s largest airline group, ANA, is introducing further improvements to its Premium Economy service on long haul international routes. From 1 June routes where Premium Economy is already available will see an enhanced level of service, and from September, it will be extended to a number of international destinations on which it was not previously available. Whilst the normal Economy Class meal is served an extra course and sparking wine will be added to the menu. 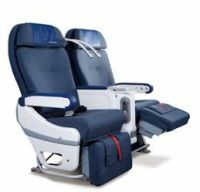 Premium Economy is currently available on the four routes between Narita and Chicago, Washington DC and Munich, and between Haneda and Los Angeles, to passengers who have purchased Economy Class tickets at regular rates. From Friday 1 June, the Premium Economy service will be further enhanced to provide sparkling wine and soup in addition to regular Economy Class meals. Around now for over 40 years but still coming down the production line Boeing is beating about the drum for the 747. Last week Heathrow Airport became the 200th airport to receive regulatory approval for 747-8 operations. In what is clearly a dig at rival Airbus, Boeing says that the (all) new 747-8 is the only aircraft above 400 seats approved to serve as many airports. 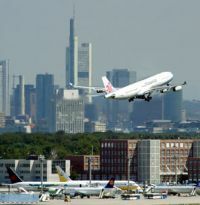 A Leipzig court on Wednesday ruled in favour of a night flight ban at Frankfurt Airport, Europe's third busiest, dealing a blow to German flagship airline Lufthansa and airport operator Fraport. The airline says that night flights are crucial for its cargo operations and to compete with fast-growing Gulf airports. "This is a good day for our rivals in Paris, London, Amsterdam and Dubai," airport Chief Executive Christoph Franz told the German media noting that the ban would affect Lufthansa investment decisions. 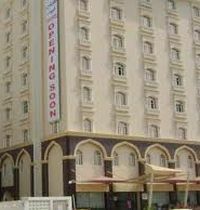 Just opened is the 4-star Waves International Hotel in Muscat, the capital of Oman. It is located in Al Khuwai, within short distance from the ministries and embassies area. It is about halfway from the Central Business District and Muscat International Airport. Ice Skating, Oman Bowling Alley and a major shopping mall are in close proximity. Within very easy walking distance is the Khuwair Souk. The latest US air carrier to find itself in Chapter 11 bankruptcy protection is Pinnacle Airlines which says it is re-organising. Founded as Express Airways in 1985 (and operating as Pinnacle since 2002) the airline is based in Memphis, Tennessee, and has more than 7,500 employees and operates around 1,540 daily flights to 188 cities for United Airlines, Delta Air Lines and US Airways. Passengers booked on regional services with any of these carriers should check their flights on the airlines’ websites. Speaking at a reception in the Swiss Embassy, Marylebone, London, Tomislav Lang, SkyWork Airlines CEO, said that the twice daily service from London City, now 12 months old, could get a third rotation. He also strongly hinted that the airline is looking at the Embraer E series for future expansion. “The London City – Bern service has become our star performer,” he said. “Over 11,160 passengers have flown the route in the first year and a further 13,745 are booked to fly on future departures aboard SkyWork’s business turboprops.” The airline operates three Bombardier Q400s and four Dornier 328 turboprops. US Airways is the latest American domestic operator to offer wi-fi with the majority of its fleet and says it has 90% coverage on mainline Airbus A320 series and Embraer 190 fleet. 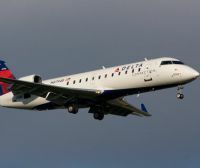 It plans to expand the service to cover US Airways Express Embraer 170 and 175 aircraft operated by Republic Airlines. In addition to extending in-flight wi-fi on more flights, the airline announced that it will launch Gogo Vision, a streaming video product that will allow passengers to watch movies and television shows on their own enabled devices. Gogo Vision will be available through a new multimedia platform that will give passengers access to movies, TV shows, games, destination content, news and exclusive shopping deals. Movies and TV shows will remain accessible for viewing even after the customer has landed – movies for 24 hours and TV shows for 72 hours. Unexpired rentals will be available for playback on the ground using the same device and browser used onboard. Gogo Vision entertainment will range from US$0.99 to US$5.99, separate from the cost of wi-fi service. 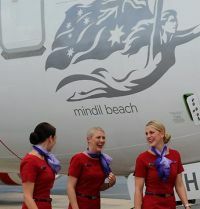 Virgin Australia has introduced a daily Sydney to Darwin return operation whilst rival Qantas is changing its baggage allowances. 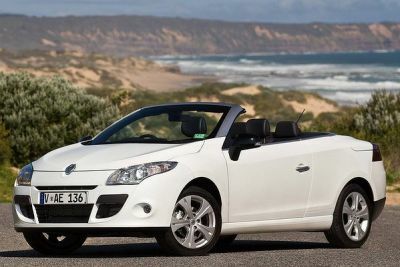 The new Sydney flight complements Virgin Australia’s Darwin services to and from Brisbane, Melbourne and Perth and features the airline's new Business Class, designed for narrow bodied aircraft. With a single daily Boeing 737 return flight Virgin Australia has chosen to take on both Qantas and its low cost sibling Jetstar who both go twice daily. 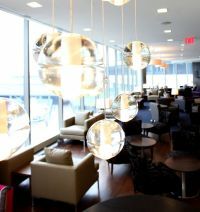 Travellers to and from London on British Airways at Newark Liberty International Airport New York are to benefit from a new Galleries lounge which has just opened. 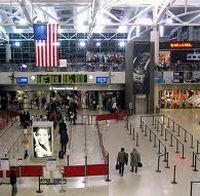 Newark is New York’s second international airport with 33m passengers as against JFK with 47m. Situated in New Jersey but just as easy to get to from most of Manhattan, and is operated by the same quasi government authority. It is the main New York home for United Airlines and benefits from a direct train service to the airport transit system from Penn Station. British Airways has three daily services to Heathrow in the height of the summer, whilst United has five (and there are two provided by Virgin Atlantic). United also serves most of the major UK regional airports. Looking for a brand new executive aircraft kitted out to your own specification? 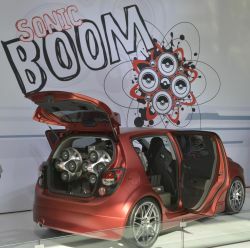 Or perhaps a second user machine to which you can add some ‘toys’ of your own? It does not have to be an executive A380 (which will not be shown at Geneva) and it can be as small as the Embraer Phenom 100 jet, which certainly will be on display. 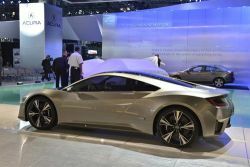 With three exhibition halls at Geneva Palexpo, over 400 exhibitors already booked, 12,000 expected attendees, and a robust schedule of nearly two dozen specialised briefing sessions EBACE 2012 is promising to be an enormously successful event. 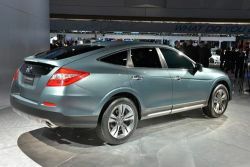 Part of its appeal is ease of access. The Palexpo actually adjoins the public areas of the airport which is served from most major centres around Europe. It also has its own railway station with a courtesy service into Geneva’s waterside station. Now based in Luton (they were for decades at nearby Dunstable), the airline data specialists OAG report that global scheduled airline capacity between January and April is expected to be 4% higher in 2012 compared to the same period in 2011. It now stands well above the previous peak in 2008 but most of this growth is coming from the Far East. Looking at the European market, recovery from the 2009 recession is slow. Capacity to destinations outside of Europe is greater than the 2008 levels. However within the EU clearly the airlines remain cautious, reflecting the economic uncertainty surrounding the European economy. The fierce competition from the major low cost carriers has increased the pressure on legacy European carriers with the likes of LOT and Czech airlines in the process of major re-structuring and forcing Spanair and Malev into bankruptcy. At Budapest, capacity is still down 25% year on year and has forced the operator to consolidate from two terminals into one. Ascott has secured a contract to manage its initial serviced residence in Xiamen. Set to open late 2012, the 169-unit Citadines Jinshang Road becomes the first internationally-branded serviced residence in Xiamen, Fujian Province. This latest addition to Ascott’s portfolio reinforces the company’s leading position as the largest international serviced residence owner-operator in China with more than 8,000 apartment units in 42 properties across 17 cities. Citadines Jinshang Road Xiamen is strategically located in the heart of Huli District and well-connected to the airport and seaport. The serviced residence is next to the Huli government office and close to the Huli Economic Zone and high-tech district which houses 24 Fortune 500 companies. A large Tesco supermarket is within walking distance and the nearby ‘bus rapid transit station’ provides quick, easy access to many destinations in Xiamen. 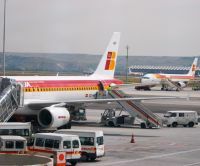 Iberia continues to be frustrated by a series of strikes called by the Spanish union Sepla and readers using its flights should monitor closely the airline’s website. The strike call does not affect flights operated by Iberia Express, Air Nostrum, Vueling, or IB code-shares with other companies. During other recent union unrest obligatory minimum services decrees have also protected flights to/from the Canary and Balearic Islands, along with the greater part of long haul flights. Regular readers will know that our roving reporter Jane Stanbury has been off to India. This is her report from deep down on the South West coast. Kerala is a top tourist destination in India. National Geographic's Traveller magazine names Kerala as one of the "ten paradises of the world" and "50 must see destinations of a lifetime". It is India in miniature and offers a beguiling destination for even the most wearied of travellers. It can be reached by using a number of international airlines including Emirates, Etihad, Jet Airways (India) and Qatar Airways. Marinating, tenderising and steaming – no not a selection of cookery techniques but methods employed by the Ayurvedic therapists at the Spa Niraamaya which forms part of the luscious Surya Sumadra Beach Garden, my destination for a week of rest and relaxation. Perched on the low cliffs above the Indian Ocean just south of Kovalam in Kerala, the 5-star hotel offers a number of individual villas scattered amongst tropical gardens. Decorated in typical Keralan style the properties feature spacious, sit out, terraces, outdoor shower areas enabling guests to cleanse beneath the stars, and magnificent views to the ocean and accompanying sunset. With just 24 “rooms” and acres of gardens even when full Surya feels deserted. A rocky set of steps lead down to the sandy beach which stretches for about 500 metres and is seemingly deserted. With difficult access from any other point the beach is invariably used only by Surya guests and is managed by two very attentive life guards ensuring the varying tides and currents don’t sweep you away; hints on how to handle the waves, how to exit the ocean and which part of the beach to swim from exemplify the courtesy of the team at the hotel. This is replicated in the spa where an exclusive appointment with the local Ayurvedic doctor ensures the set of treatments chosen will aid recovery from your specific aches and pains. Ayurveda is not just about pampering, in Sanskrit it means “the knowledge of life” and is an ancient holistic system dating back over 5,000 years. The complex system at its most extreme involves diuretics, emetics and a strict diet to strengthen and control body and mind to protect against illness and prolong life. At Niraamaya you can choose the full experience or just simply enjoy the heritage of the herbal treatments practised by the people of Kerala. The spa has its own herb garden which provides ingredients for the treatments. Earthy smelling herbs, fresh leaves and spicy oils combine to produce a complex mix of massage oils, body rubs and heated poultices used with dexterity by the therapists. There are key differences between Western treatments (also available) and the traditional Ayurvedic offering. Therapists gently wash your feet before each treatment and place a blessing on your head as you leave. Wooden tables replace comfy massage tables, unfamiliar ingredients give off unfamiliar smells and open-air bamboo curtained therapy rooms replace dark, moody spa music filled treatment rooms. Even the sceptics seem to benefit from the daily rituals and strict vegetarian diet. As is a visit to a Kathakali performance. Originating in northern Kerala this ritualistic dance incorporates mime, classical music, and extraordinarily intricate eye movements to create detailed choreography in acts that last for hours. The make-up plays its own role and visitors are often invited to watch the vibrant colours applied to the characters pre-performance. 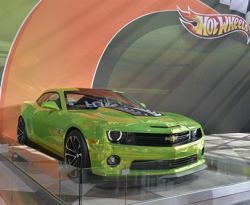 Traditionally a vibrant green face means good whilst white indicates super human and crimson red equates to the demonic. A full performance is recommended only for the aficionados but there are a number of shorter dances where gods and mortals play out their roles against a background of chaos and disaster caused by human ambition, greed and pride. The final outcome is normally happy, but it may take a while to reach conclusion. The characters of Kathakali are as symbolic in Kerala as those of the Punch and Judy puppets in Europe. Children play with replica toys and grand palaces have life size mannequins watching over their royal activity. 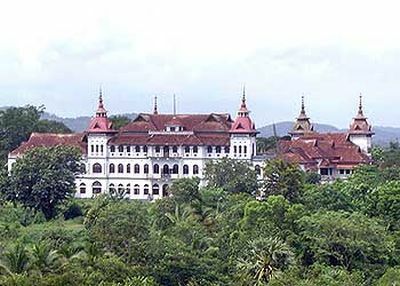 A classic collection can be found at the Kuthitmalika Palace in Trivandrum, the state capital. The palace, built by Maharajah Swathi Varma, a great patron to the arts, is one of the most authentic royal experiences a visitor could wish for. The dark wooden building appears underwhelming yet guides lead you through room after room of original artefacts including a crystal throne, ivory sculptures, an eclectic selection of European art and a random selection of Ming era china seemingly placed casually in the corner. There is no official interpretation and the only way of unlocking the secrets is with a palace guide. The lack of interpretation, and slightly shabby maintenance, is more than made up for by the contents. The highlight of the structure is the upper gallery which contains the educational, music room and Asyurvedic treatment rooms including a self-massaging table….and an exterior plinth featuring 122 carved dancing horses. The palace however is overshadowed by the neighbouring Sri Padmanabhaswamy temple. Built in 1733, the temple is accessed via a heady seven-tiered ivory coloured ornamental tower leading to six vaults that until recently had been hidden. In 2011 the Kerala High Court ordered the temple and its assets to be managed by the State, and an order followed to open the vaults for inventory purposes. On review assets found included Napoleonic coins, a metre tall gold idol studded with rubies and emeralds, endless jewels and precious metals. It is said that cumulatively the assets may be worth US$23.94bn making it the richest temple in the world. It is therefore unsurprising to find the property surrounded with military guards and access only given to those who are genuine practising Hindis. After a day in the hot and dusty city we couldn’t wait to return to the peace and quiet of Surya Samudra. There were any number of alternative destinations; the intoxicating Western Ghats where undulating hills produce tea, coffee and spice plantations against a patchwork of flaming Poinsettia bush fences; or visited any number of the wildlife sanctuaries protecting elephants and tigers amongst others. The meandering backwaters of Allepey also beckoned where villagers live in perfect harmony with the network of rivers and visitors can while away days on converted rice barges taking in the verdant surroundings peppered with small communities. A holiday with a real difference. www.suryasamudra.com – the owners are also creating two new properties one in the back waters, and one in the tea hills, all are based on the company mission of Peaceful. Private. Personal. 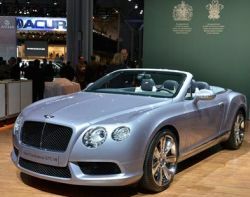 www.keralaconnections.co.uk – will create a magical tailored itinerary for your pleasure. 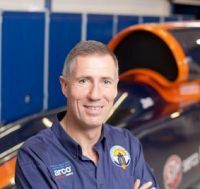 Wing Commander Andy Green, ‘The Fastest man on Earth’, is to be the guest speaker for the pre-Farnborough Aerospace Media Dinner on 8 July at the Royal Aeronautical Society. Driving Richard Noble’s Thrust SSC (SuperSonic Car) in 1997, Andy set the world’s first and only supersonic land speed record at an astonishing 763 mph driving literally ‘faster than a speeding bullet’. Andy is currently preparing to drive the new Bloodhound SSC, designed to reach an astonishing 1000 mph, the ultimate Land Speed Record challenge. The Bloodhound Project aims to inspire the next generation of young engineers and scientists, while setting the most remarkable Land Speed Record of all time. 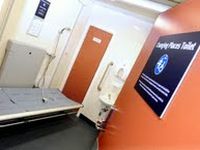 A brand new custom-made toilet and changing facility designed specifically to support those who care for people with disabilities has been unveiled at Birmingham Airport. Called ‘Changing Places’ the toilets cater for people who have profound and multiple learning disabilities (PMLD) and other people with severe disabilities who need the support of at least one carer. The state-of-the-art toilet is fitted with a height adjustable changing bench, an overhead hoist system and enough space to ensure the bench and toilet can be approached from either side in a wheelchair. Jackie Baker, Terminal Services Contracts Manager at Birmingham Airport, said: “We are extremely passionate about improving the passenger experience here at the airport and continually look at new ways we can deliver a better service. Now claiming to be the UK’s largest airline, easyJet has launched its winter schedule 2012/13. From 11 UK airports it will service 259 routes. Whether the airline seat allocation experiment is expanded (see last week’s AERBT) or even continued remains to be seen, but the Speedy Boarding product has been a success and now is extended to include a dedicated airport check-in, very useful if you arrive not having dealt with the paperwork on your computer, or with a suitcase for the hold. Capacity has been added to popular sun and city destinations including Barcelona, Istanbul, Madrid, Nice, Sharm El Sheikh, Tel Aviv and Venice. Born in Gibraltar in 1927 Joe Gaggero has died aged 84. 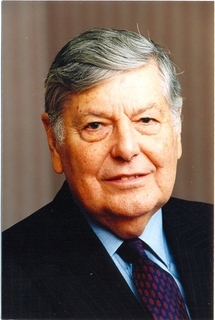 He was Chairman of the Bland Group, which dates back to 1891, originally a shipping company. In 1931 it founded Gibraltar Airways which later became GB Airways and was taken over by easyJet in 2008. He had a distinguished career in the travel industry. Jumeirah Group, the Dubai-based luxury hotel company, has signed a management agreement with the Pera Palace Hotel in Istanbul (Turkey). 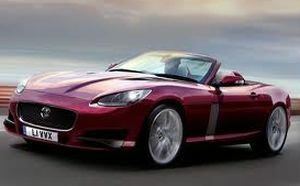 The arrangement is from 1 May 2012 and the property will be known as Pera Palace Hotel, Jumeirah. Pera Palace Hotel originally opened in 1892 as the destination hotel in Istanbul for the Orient Express train. Its elegant, understated design reflects art nouveau, neoclassical and oriental styles, complete with white Carrara marble, exquisite Murano glass chandeliers and hand-woven Ousak carpets. Known as the longest established luxury hotel in Istanbul, Pera Palace boasted the first electric lift in Turkey and its rooms have hosted many of the world’s most significant figures, ranging from the founder of modern Turkey, Mustafa Kemal Atatürk, to European royalty and celebrity figures such as Agatha Christie, Greta Garbo, Alfred Hitchcock and Ernest Hemingway. 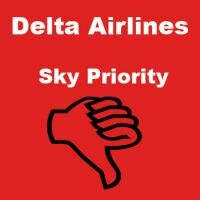 The 15 airlines of SkyTeam have started to introduce “SkyPriority” said to be the world’s first alliance-wide, red-carpet treatment for select customers with, what is claimed, an unparalleled level of seamless passenger service. “This is the biggest collective SkyTeam project to date and a prime example of how our members are extensively working together to bring greater benefits to our customers,” said Michael Wisbrun, SkyTeam’s Managing Director. SkyPriority has been developed to ensure a common and consistent quality standard for priority airport services across the alliance. The programme was initially introduced at Taipei by SkyTeam’s newest member airline, China Airlines, at the start of March and has now been brought in throughout last month to other major international airports including Amsterdam, Atlanta, Paris CDG, Guangzhou, Nairobi, Rome and Seoul. SkyPriority will be gradually rolled-out at more than 800 airports around the globe throughout the year, with over 1,000 airports in 2013. American Airlines was joined last week on its New York – Buenos Aires route by United Airlines, the only difference being that AA operates from JFK whilst the United service comes out of Newark International, across the Hudson in New Jersey. Both airlines fly Boeings on the route, American with the 777, and United offering a 767 featuring United First, United BusinessFirst, and having dropped the “coach” label, United Economy. 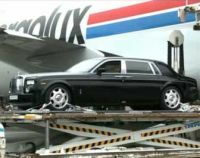 Both carriers offer an overnight service in both directions and get airborne for the nearly 11-hour flight within a few minutes of each other. At the same time United has dropped its Washington DC – Buenos Aires operation.